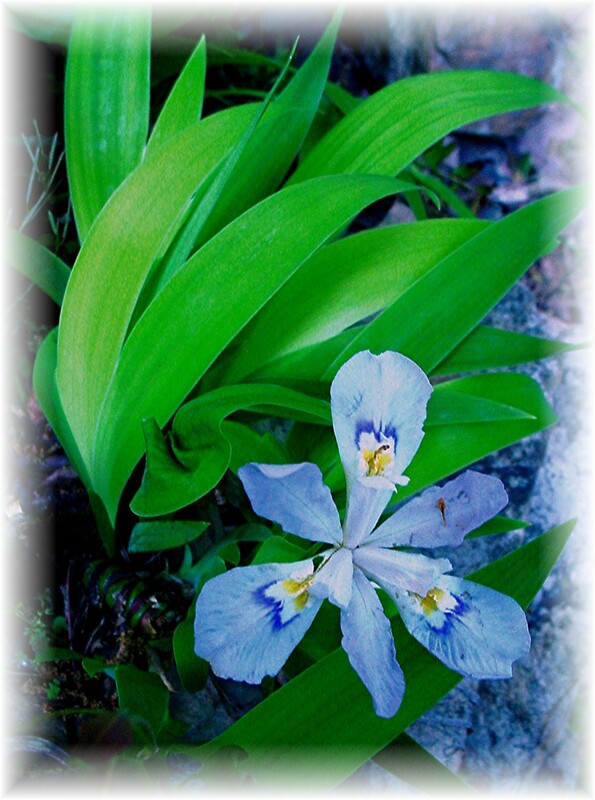 My wife found these beautiful wild dwarf iris flowers at a secret garden a few years back. I found their botanical name on the web recently. She brought them back to our woodland home and planted them near our fire circle. She feared that they would not come back up the next season, but “pop” they arrived with a vengeance! They are just a sampling of the multitude of native “flora and fauna” found here in our native mountains. My wife has two “green thumbs” and I “man” the wheelbarrow. I consider these true harbingers of Spring each year. Enjoy! Lovely! Lovely blog! Lovely spouse! Larry, this is BEAUTIFUL — well written and well illustrated. I have a long way to go with my blog. I bought a couple of books on creating WordPress blogs, but I haven’t sifted through them yet. I just needed to get something out last night. I’ll spruce it up later. aloha bostonmountainchef, i like this combination of words and image. i particularly like that you both handle the wheelbarrow. aloha. Yes, I “man the wheelbarrow ” because she is my best friend.